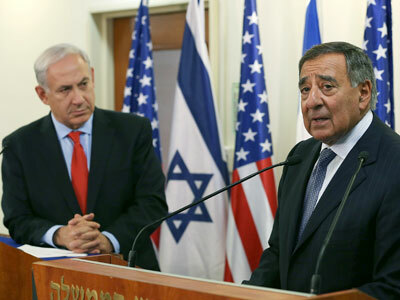 The rift between the US and Israel over Iran now seems more like a chasm, as a senior US politician confirmed that he witnessed an “unprecedented” row between Prime Minister Benjamin Netanyahu and America's ambassador to Israel. Although previously denied by both sides, the heated argument was recounted in a radio interview by Republican congressman Mike Rogers, who is the Chairman of the House Intelligence Committee- and was present at a bilateral meeting in Israel on August 24. The discussion centred on ways to curb Iran’s nuclear ambitions, whom both countries believe is trying to develop a nuclear weapon. 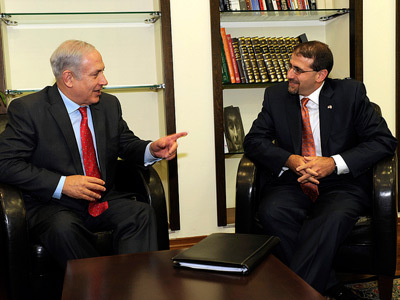 Amidst the talks Netanyahu is said to have suddenly lost his temper with US ambassador, Dan Shapiro. "We've had sharp exchanges with other heads of state and in intelligence services," Rogers said, "but nothing at that level that I've seen in all my time, where people were clearly that agitated, clearly that worked up about a particular issue where there was a very sharp exchange." 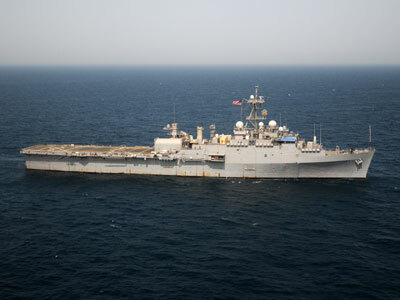 Rogers says Netanyahu chastised Obama’s administration for failing to draw “a red line”, a clear indication of what Tehran would have to do before the US took action to stop Iran’s atomic development, and that this ambiguity is making it difficult for Israel to decide on its own strategy. Shapiro paraphrased the Prime Minister’s argument: “This Administration's been saying, you've gotta wait, you've gotta wait, you've gotta wait… but then you've gotta tell us when is the red line, so we can make our own decisions about should we or shouldn't we stop this particular program." In turn, Shapiro, who is considered Obama’s close policy adviser and not just a symbolic figure, broke diplomatic protocol, forcefully telling Netanyahu that the administration is determined to combat Iran, even if it takes an air strike on its nuclear facilities, a step that has been discussed by both sides for months. But Rogers recalls that Netanyahu was not convinced, and believes that Iran could manufacture a working nuclear weapon in 4 to 8 weeks. 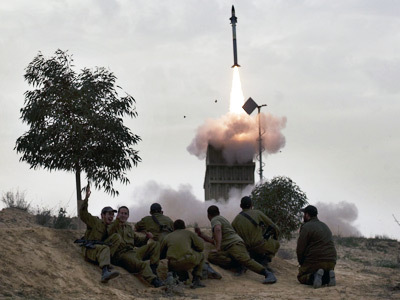 "Right now the Israelis don't believe that the Administration is serious when they say that all options are on the table, and more importantly neither do the Iranians. That's why the program is progressing," summed up Rogers. "At this point they're very frustrated because they don't' know what happens after the election and their window for impacting the program they believe is starting to close." Reports of the tumultuous meeting first surfaced last week in the Israeli press, only to be refuted by both parties. “The report is incorrect and we have nothing more to add," Netanyahu's spokesman Liran Dan reiterated after the latest revelations. Shapiro also insists that no such argument took place. 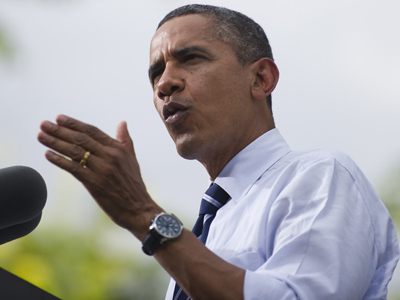 Ahead of November’s presidential face- off between the incumbent Obama and Republican candidate, Mitt Romney, the two parties have diverged on their stance on Iran. 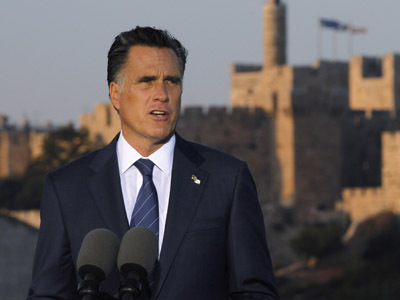 Romney has promised “unilateral support” for an airstrike, while Obama has followed a more cautious policy of sanctions and incentives and is unlikely to risk the massive diplomatic fallout over an air strike and potential regional war in the dying months of his term. Meanwhile, Tehran continues to deny it plans to build a nuclear bomb. Earlier this week, the International Atomic Energy Agency, released a series a satellite pictures showing that Iran had “sanitized” Pashtun, one of its military bases, by demolishing buildings and removing the earth from potential nuclear test explosion sites. The Vienna-based watchdog also claimed that since May Iran has doubled the amount of uranium-enriching centrifuges at Fordo, the underground facility that is the likely target of any air strike. 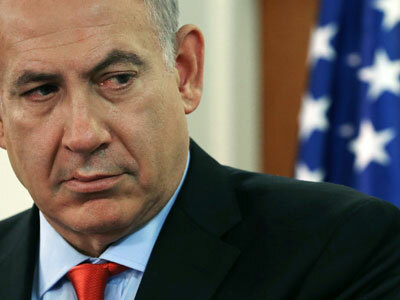 Phony war: Is Netanyahu's tough talk on Iran just a front?